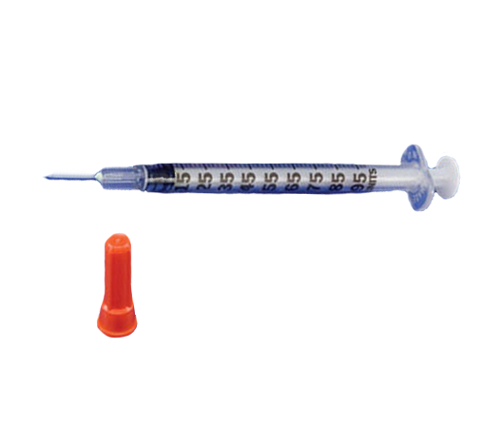 Monoject Insulin Syringes come with a 1 mL Syringe or a 0.5 mL Syringe (1 cc Syringe or 0.5 cc Syringe) and are rigid packed. Monoject Insulin Syringes are rigid packed to protect against accidental product contamination. 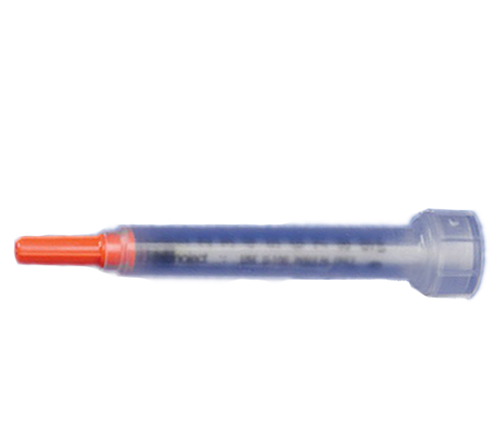 Graduations markings on the barrel of the Rigid Pack Insulin Syringes indicate 0.01 cc variations to reduce errors. Monoject Insulin Syringes with Needles incorporate a hubless needle design that offer low dead space and reduces insulin loss in the hub. These Insulin Needles are anti-coring and have a tri beveled point to provide more comfortable injections. Manufactured by Kendall, Monoject Insulin Syringes are constructed with stainless steel needles and polypropylene hub.Vitality Medical also carries SoftPack Insulin Syringes from Monoject. Unit graduations clearly marked on syringe barrel minimize dose errors. Silicone needle lubricant reduces needle friction. Product Numbers: 8881501210, 8881500014, 8881501822, 8881501970, 8881501384. 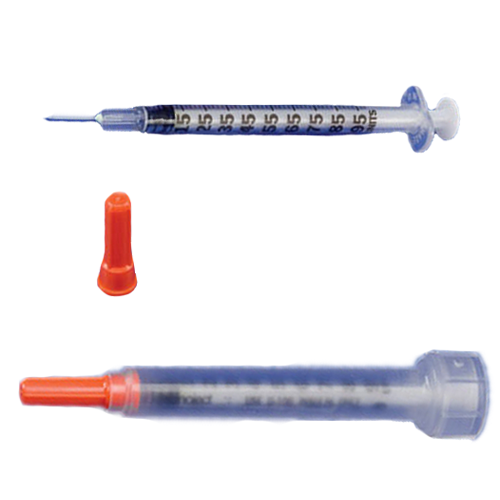 Syringe Volume Options: 0.5 mL (5 cc Syringe) or 1 mL (1 cc Syringe). Needle Gauge Options: 25 Gauge, 27 Gauge or 28 Gauge. Needle Length Options: 1/2 Inch or 5/8 Inch. Needle Types: Permanently Attached and Detachable. Smooth injection. Needles are consistently sharp. Easy to read dosage marks. Economical. Hard case prevents damage if your on the go.I would recommend. Monoject Insulin Syringe with Needle are hubless needles that provide low dead space and reduce insulin loss.